When you are working on a report that requires an expert fit, you may want to control the page margins for the reporting layout. This control can be found in the Layout Setup dialog box under the printing tab. There is a checkbox to Use fixed page margins and is generally unchecked. 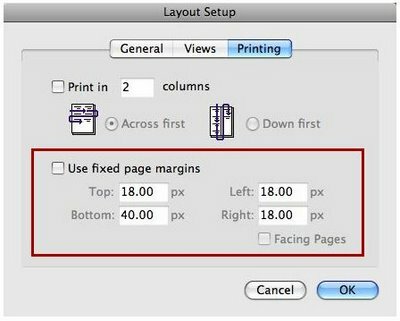 If you decide to check this option, you can define the margins to be used by all four areas of the layout / page.